Troy Polino (2011/2012 - 2014/2015) and Jesse Facchini (2012/2013 - 2015/2016) are Brockport alumni who are still living the dream. 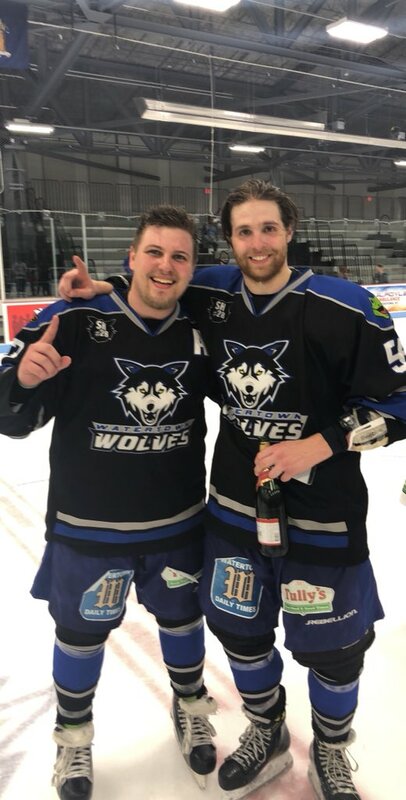 On Wednesday night they and their fellow Watertown Wolves secured the Federal Hockey League's Commissioner's Cup. They were big contributors. 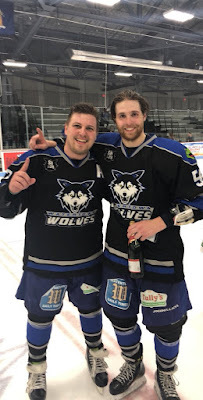 For example, in Game 3 of the best-of-five series, Facchini scored 2 goals and Polino had 1. In an interview with the local paper afterward, Facchini attributed that success to the chemistry they built in their Brockport days. Congrats to these Golden Eagles!